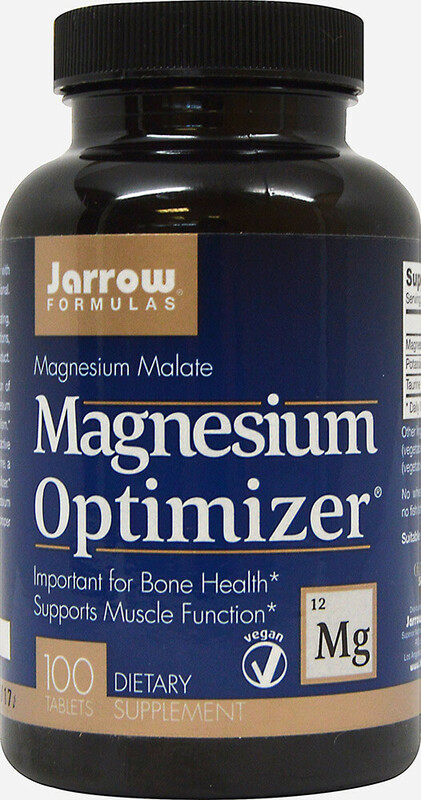 Magnesium Optimizer is a synergistic combination of nutrients that optimize magnesium metabolism. Magnesium is beneficial for nerve and muscular tissue metabolism. Magnesium and potassium can be utilized by physically active individuals to support electrolyte levels in the body. Taurine, a free form amino acid antioxidant, is a cell membrane stabilizer. Taurine enhances the effects of magnesium and potassium because taurine acids osmoregulation (maintenance of proper concentration of ions).